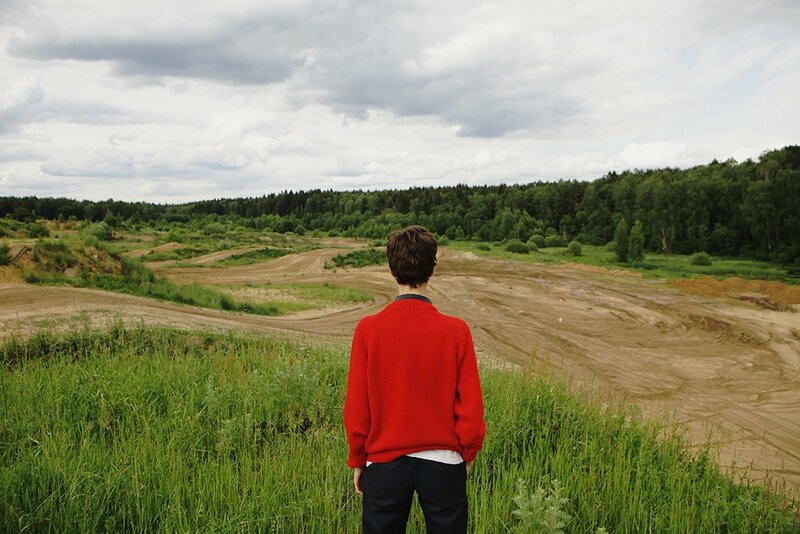 Originally hailing from the picturesque region of Baikal, artist Elena Anosova is currently based in Moscow, where she studies documentary photography at the Rodchenko School of Photography and Multimedia. 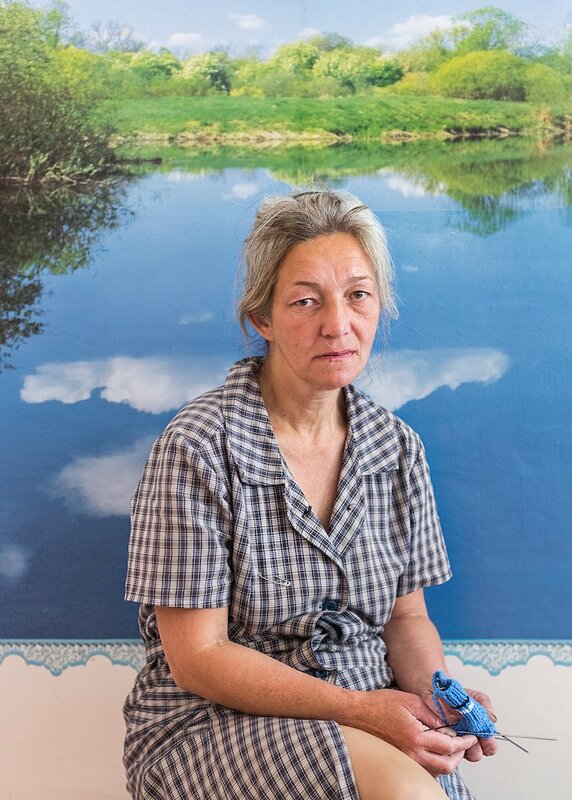 Anosova was recently awarded the grand prix of the Andrey Stepin International Competition for Photojournalists, and won the documentary prize at the Baltic Biennale for Photography. Her trilogy, Section, was exhibited at Red Square Gallery in Moscow, and is the result of two months living and working in three Siberian female penal colonies. Anosova was interested in exploring how identities are disfigured and traumatised while in confinement, based on her own childhood experience of living in a specialised boarding school. Her subjects confront the viewer, revealing the ways these women are used to being under constant surveillance. The female gaze here is not only from behind the camera, but woven into the way the prisoners present themselves to us; challenging our preconceptions of what life is like behind the bars. She wrote about the series, which will by published as a book later this year, for The Calvert Journal. I started shooting in August last year, and visited three colonies. One was for first-time offenders; the second for repeat offenders and the third was a settlement colony, a prison for moderate sentences, with minimum security. I specifically wanted to film in rural colonies: most of them are located in small villages, where I rented rooms and spent the days inside the prisons. Some of the prisoners saw a friend in me, some a sister, or a child. I was honest with them from the start, that I was a photographer working on a personal project. I went there as an artist because I wanted to answer some questions about my childhood. I spent several years as a teenager living in a specialised boarding school, and the experience of being in a collective space was something I was always interested in addressing. 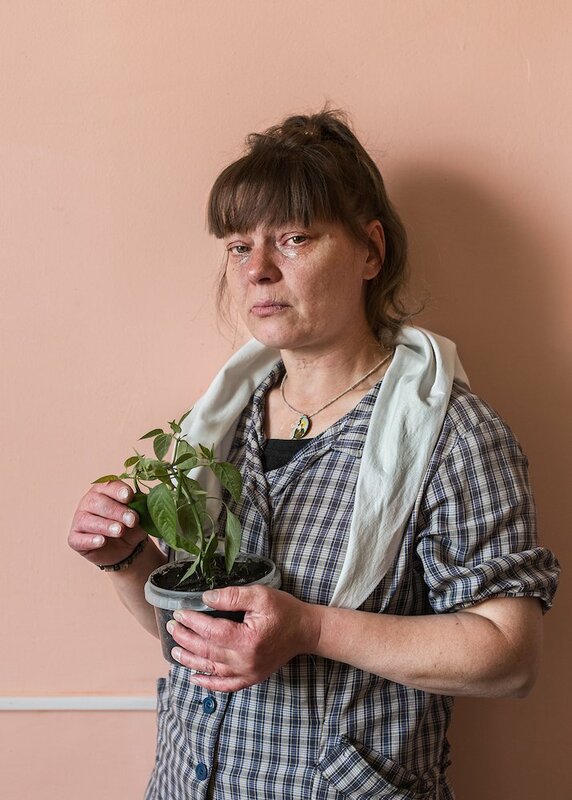 During my time at the Siberian prisons, the focus of my project shifted as my perception of these women changed. I realised I wanted to bring attention to the social problems that these women face. We live in a country where anyone can suddenly find themselves suddenly imprisoned, but I found that the people I met inside the system were no different to the people on the “outside”. I was interested in the social deformation that takes place there. In the colony for first-time offenders, I met women and young girls who did not quite understand what was happening to them, but in the colony for repeat offenders the women seemed quite different, as a result of being jailed numerous times. The effect of confinement on these women interested me, and was the main drive behind my work. What happens to a person when their life is under constant, 24-hour surveillance, with no private space? Women who have been jailed for a long time often don’t have many valuables. Instead, some of them care for plants or the prison’s cats, but the longer a person is imprisoned the less attachment they feel to anything at all. I asked the women to pose with their most valued possession, then shot a series with all of the personal belongings they had. Shampoo, cosmetics, their uniform and personal clothing. Maybe some letters from their families, a couple of books. 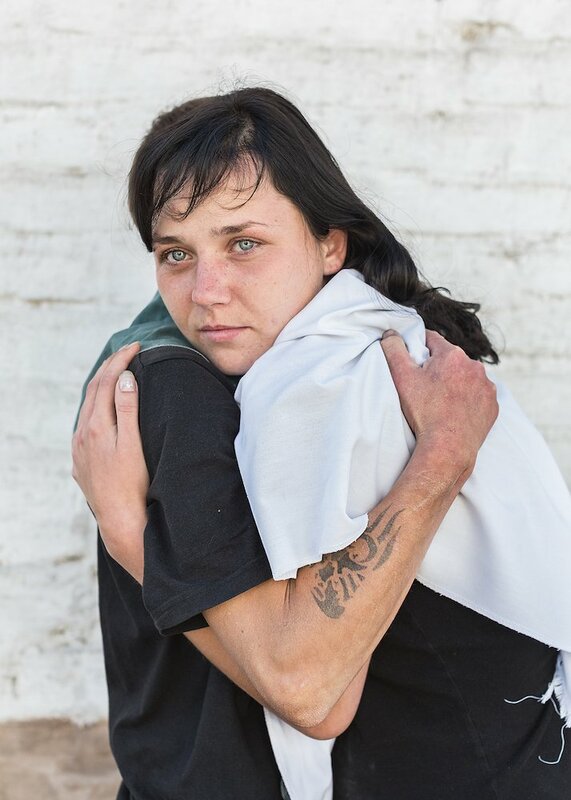 The third series I shot there was of romantic couples inside the colony — the longing that they had for normal human comfort and mutual support. Most of the women I met in the colonies had committed real offences, but there were also women who had taken the blame for somebody else’s crime. A mother who couldn’t bear to see her son go to jail or young girls who went to jail for crimes their boyfriends had committed. They are all in the same position, though. Most of their husbands end up leaving them, unlike jailed men, who as I found out usually get support from their partners even behind bars. Working on the photo series, I discovered that female crime is unique. Women who were part of criminal gangs, for example, usually don’t commit the violent crimes themselves. A lot of the crimes committed by women are the result of years of violence towards them or their children. Domestic violence, for example, when the woman was the victim for years and then just couldn’t take it any more. The staff I photographed were usually young men and women who had returned to their villages from the big city to take care of their aging parents. These prisons are pretty much the only source of income in a lot of rural areas. Some of the families have been working for the prison system for generations. A lot of them try to help the inmates as best they can, although everything boils down to the type of administration in a particular colony. Prison is a microcosm of our society, but we tend to think of it as being completely outside it. Russia doesn’t have the infrastructure needed to support people who are released from jail. A lot of them have nowhere to go and no one to help them. They are stigmatised and labelled “criminals”. A lot of them, once they enter the system, are forced to commit consequent crimes because when they find themselves free, they have no means to find a job and don’t want to become a burden on their parents. 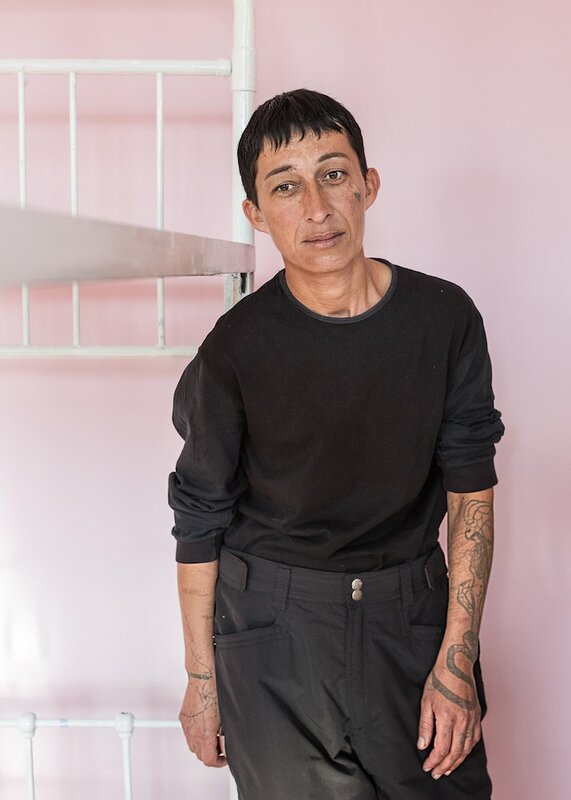 I shot the series to draw attention to the fact that these women need to be rehabilitated after they are released, and need help reintegrating into society.